We focus on protecting your infrastructures, networks and information of your business, mitigating risks that may affect them. We offer Managed Perimeter Security services for each site. 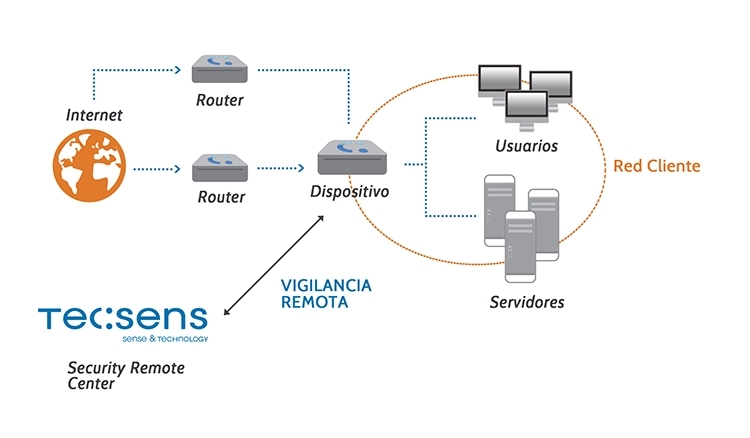 We manage firewalls on more than 500 clients in Spain, with our remote surveillance service. Our service will allow you to monitor your Internet access, as well as protection against viruses and external threats, blocking unwanted access, filtering mail (AntiSpam), permanent updates and monthly activity reports. Know at last what happens in your internet access and how it is used. And prepare for a new generation of threats based on our services and experience.